News reports have flowed thick and fast of late detailing Melbourne’s robust hotel sector. 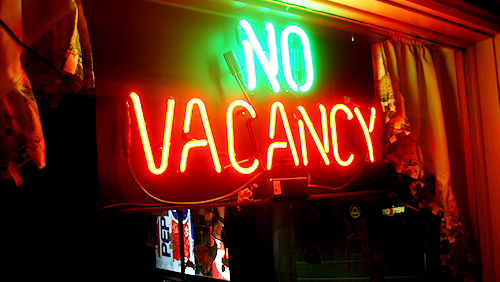 Recent AFR articles show hotel occupancy rates have increased by nearly 4 per cent year-on-year. Investors and operators hold bullish sentiments for the future, while Melbourne maintains the lowest national major city room rate at an average of $182, which ties in with affordability. But what of the actual buildings that will deliver solely, or as part of a larger mixed-use development, the throng of new hotel suites destined for Melbourne? If one firm epitomises the faith in Melbourne’s hotel sector, it’s Hiap Hoe. 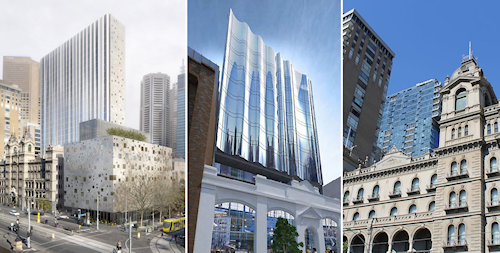 Shortly after acquiring three development sites late last year worth $177 million, the Singaporean firm revealed a letter of intent was penned with Starwood’s Asia Pacific Hotels and Resorts to manage two of their Melbourne properties. Four Points by Sheraton are slated to take naming rights over 6-22 Pearl River Road, located within Melbourne’s Docklands, while 380 Lonsdale Street will be home to Aloft Hotels once the project has been completed. A third property at 206 Bourke Street is currently subject to a preliminary design process, with concept renders depicting what looks to be a typically sleek Elenberg Fraser complex. Together, these developments will deliver near 1000 hotel rooms to Melbourne’s inner core – impressive in both scale and speed of progression. The grandeur of Melbourne CBD’s east end is well documented, so it’s no surprise that many hotel operators are seeking a slice of the action close to Spring Street. The trials and tribulations of the Windsor Hotel are well documented, although last week it was announced the 152 room expansion of the grand complex would proceed to construction late this year. Nearby Sheraton at 27 Little Collins Street is well advanced into construction, yielding 175 rooms, while other projects in the area include the expected redevelopment of Rosati’s at 95-101 Flinders Lane into a 195 room hotel, QIC’s redevelopment of Nauru House with plans to include a 252 room hotel, and of course the Palace Theatre redevelopment seeking 200 suites under the W Hotel brand. 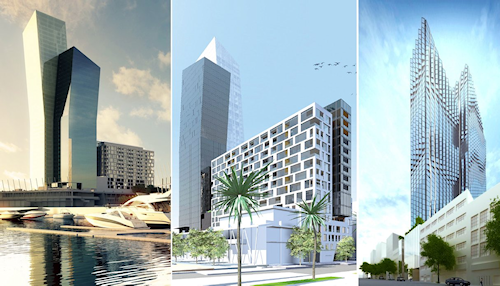 There’s no shortage of developers vying to land a hotel operator elsewhere in the CBD with 1500 additional rooms currently on the cards. 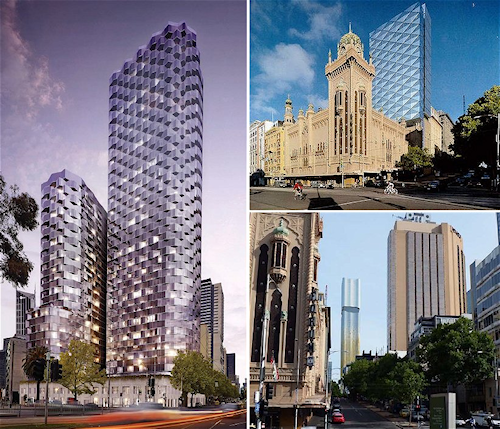 Aside from Wyndham on William, where 87 dwellings are under construction as part of Hengyi’s 199 William Street, six other aspirants have yet to solidify their intentions. Biggest of all is Far East Consortium‘s intended redevelopment of 250 Spencer Street, highlighted by 488 hotel suites over two towers. Elsewhere 131-141 Russell Street holds approval for 182 suites, as does 110-112 Franklin Street with 129 rooms over a modest eight levels. Currently seeking approval is 386-412 William Street with 210 suites available as part of the mixed-use development. Ace Hotel Group have put themselves forward as a potential operator. The two remaining proposals are also controversial given their sensitive locations. As part of a larger mixed use development AXF Group seek to add 200 hotel suites to their 280 metre replacement of the Total Car Park, which has been previously touched upon by Urban Melbourne. Nearby Marriner Group have submitted plans for a 32 level hotel development behind a restored Forum Theatre. Both projects are still under planning consideration. Melbourne Property Market Update – September 20, 2013 Melbourne Property Market 2013: Steady Recovery Overall Melbourne Property Market Update – October 4, 2013 Outer Suburbs Offer Affordable Housing in Melbourne but Risk Work-Life Balance Where Can You Find a House in Melbourne for Less Than $400,000?